Moving can be a very exciting time, but it is also stressful. Even the normal stresses can add up from buying the right moving supplies, getting delicate or breakable things packed up, planning every detail from one place to another, and coordinating all the timing so it happens on top moving from point A to point B. One of the last things you want to think about during such a busy and stressful time is worrying about moving scams. It’s a story we’re hearing more and more: the moving “company” you hire loads up all of your personal belongings, and then essentially holds it all hostage until you pay more money to get everything back. The good news is there are simple steps you can take to protect yourself. 1. Don’t just pick a random moving company. Ideally you will know people who have hired a moving company personally and can attest to some good ones, and steer you away from ones that were disasters. Asking your Realtor for advice is generally a great starting point in your research. 2. Research, research, research. Thanks to the internet, this should be relatively easy. Sites like MovingScam.com features a “Super List” which has listings of reputable movers by state, as well as a list of endorsed movers who they’ve vetted and know to be good, reliable movers. 3. Shop around. Get at least three estimates. This should show similarities in prices and one that seems like a low-ball could be a red flag. Even reputable movers may require a small deposit upfront to reserve the time frame, but never pay the full amount up front before the move. 4. Request a visit. 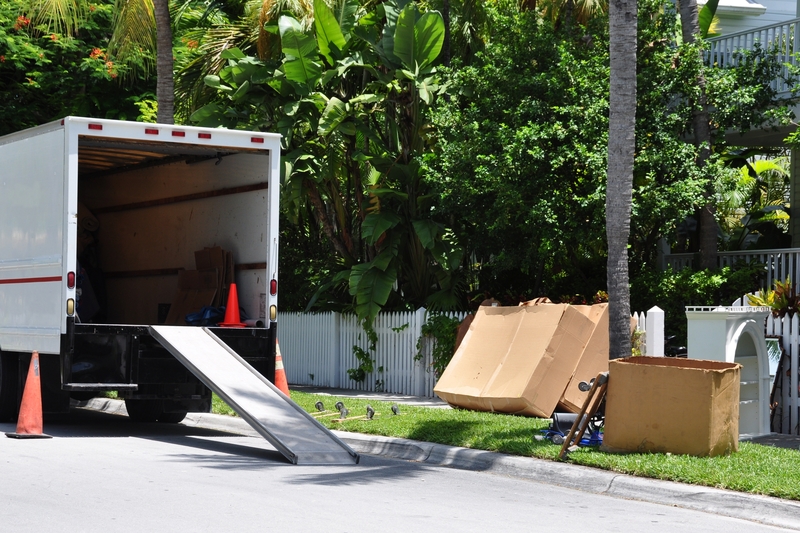 Make sure the moving company representative comes to your home to do a quick inventory before creating an estimate. 6. Be prepared. Be sure that written contract outlines any supplies you may be responsible for, or may be required to pack yourself. Some companies may offer different packages based on how much you want to do yourself, such as packing. Obviously it’s best to clarify this as far in advance as possible so you can purchase any moving supplies such as moving boxes, piano moving equipment, moving blankets, etc. up front. Some companies may also require you pack and move flammable, hazardous, explosive, or corrosive items yourself, so knowing this up front can you plan ahead. 7. Check estimates. Be sure to check the estimates to ensure you are charged by cubic footage instead of weight. First of all – this is even illegal as of 2005, so all quotes should be in weight. Second, anyone quoting cubic footage will almost certainly try to jack up the price ever. 8. Ask about damage claims processes. It’s nearly inevitable that something may be dinged, scratched, or broken during the moving process. However, a legitimate company will have a plan in place- and in writing- outlining the proper channels that will protect you.